See how easy it is to turn small savings into something big! 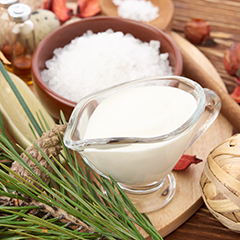 Give your friends a reason to pamper themselves this winter with three recipes for essential oil-infused body products. Whether you make a lip scrub that will leave them with baby-soft lips, a luxurious milk bath, or a relaxing foot soak, these small treats are sure to please!